Houghton Mifflin Harcourt, 9780544765351, 304pp. A former ballerina, Maggie Austin turned to baking when an injury ended her dancing career—and has since become one of today’s most sought-after cake artists, serving celebrity clients and even royalty around the world. Her design hallmarks are instantly recognizable to the legions of fans who follow her work: ethereal frills, dreamy watercolors, lifelike sugar flowers, rice-paper accents, graceful composition, and other impeccable details. Here, she shares a collection of her edible works of art and the methods behind their creation, with a “theme and variations” organization that shows how mastering any single technique can open the door to endless creativity. Each is broken down into clear instructions and illustrated with step-by-step photos that are easy to follow whether you’re a professional baker or an amateur enthusiast. From a single sugar blossom to a multi-tiered cake festooned with pearls and intricate appliques, there’s inspiration for bakers and crafters of all stripes. 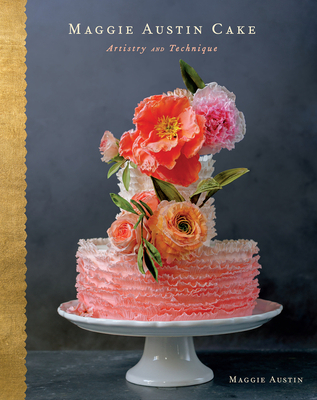 MAGGIE AUSTIN is one of today’s top cake designers. A graduate of the French Pastry School’s L’Art de la Pâtisserie program, she has worked with elite clients all over the globe, from Hollywood celebrities to royal weddings.